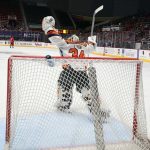 Lehigh Valley Phantoms forward Alex Krushelnyski scored in the fifth overtime period, just past the six-hour mark of the game, to give the Lehigh Valley Phantoms a 2-1 win over the Charlotte Checkers in Game 4 of the Atlantic Division Finals. The game is now the longest to ever be played in the American Hockey League, surpassing the old record held by the Philadelphia Phantoms and Albany River Rats. Goaltender Alex Lyon also contributed a Herculean effort, turning aside 94 of the 95 shots he faced, to backstop the team to victory. The Phantoms now have a 3-1 series lead over the Charlotte Checkers in the best-of-seven series. 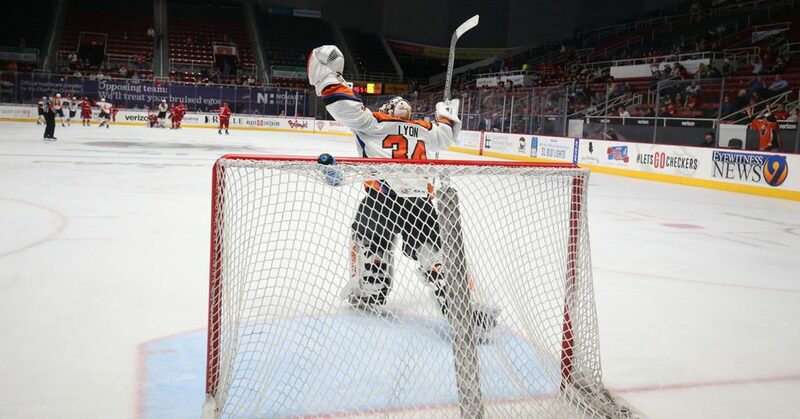 The post Relive Alex Krushelnyski’s 5OT Game-Winner appeared first on Lehigh Valley Phantoms.